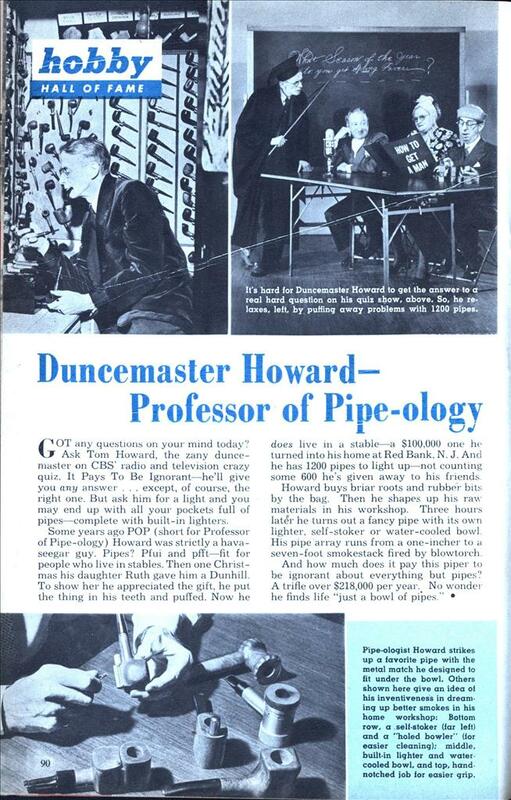 Some years ago POP (short for Professor of Pipe-ology) Howard was strictly a hava-seegar guy. Pipes? Pfui and pfft—fit for people who live in stables. Then one Christmas his daughter Ruth gave him a Dunhill. To show her he appreciated the gift, he put the thing in his teeth and puffed. Now he does live in a stable—a $100,000 one he turned into his home at Red Bank, N. J. And he has 1200 pipes to light up—not counting some 600 he’s given away to his friends. Howard buys briar roots and rubber bits by the bag. Then he shapes up his raw materials in his workshop. Three hours later he turns out a fancy pipe with its own lighter, self-stoker or water-cooled bowl. 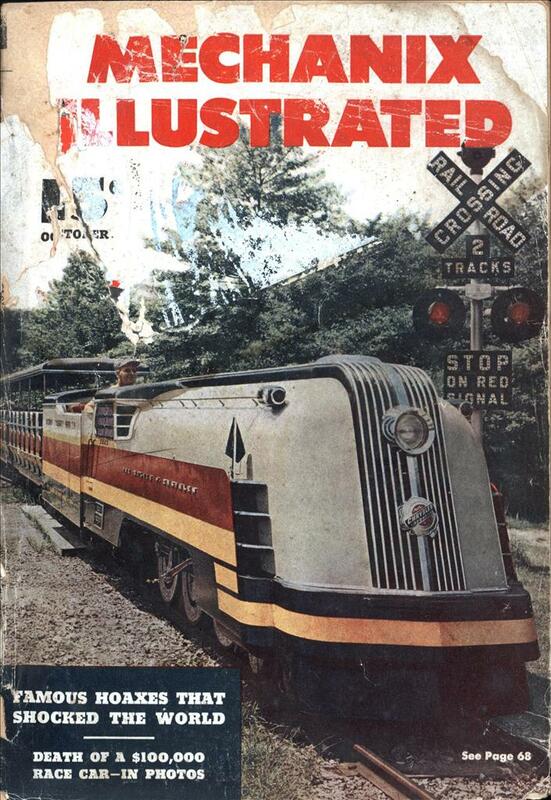 His pipe array runs from a one-incher to a seven-foot smokestack fired by blowtorch. If it pays to be ignorant then how come I’m not a millionare yet? Question: Do Married Men Live Longer Then Single Men?